Credit: Schmidt Ocean Institute. Download this image (JPG, 178 KB). 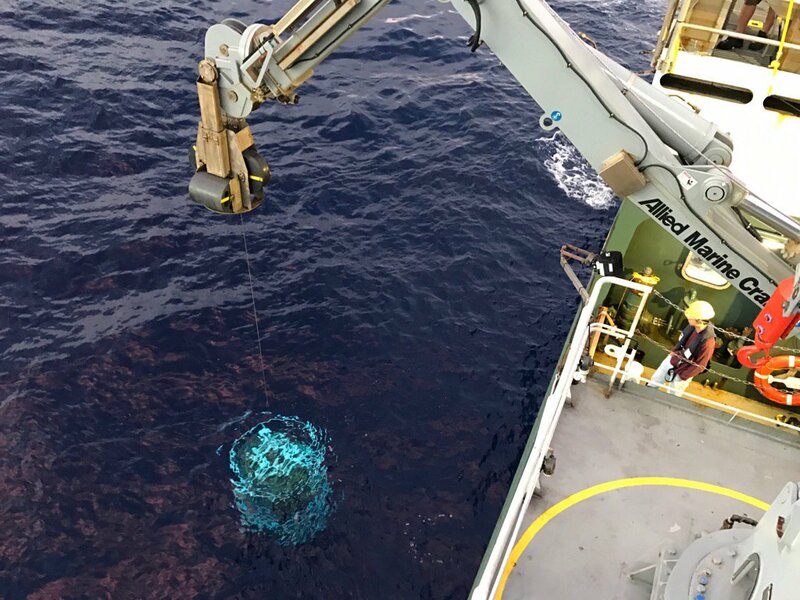 [28-Jan-17] A Conductivity, Temperature and Depth (CTD) sensor is lowered off the side of the R/V Falkor at sunrise. The water was extremely clear and blue, with a chlorophyll maximum found at about 130 meters depth.